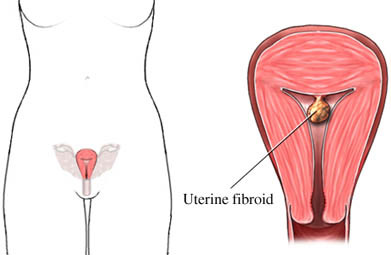 Uterine fibroids are growths that develop in the wall of the uterus. This is the organ where the fetus develops. Women in their 30s and 40s are more likely to develop fibroids, but they can continue to affect women in their 50s. Fibroids vary in size from very small, 1 inch or less (the size of a pea), to 8 or more inches in diameter (the size of a grapefruit). These growths are not cancerous. Usually more than one fibroid is present. What are the risk factors for fibroids?What are the symptoms of fibroids?How are fibroids diagnosed?What are the treatments for fibroids?Are there screening tests for fibroids?How can I reduce my risk of fibroids?What questions should I ask my doctor?What is it like to live with fibroids?Where can I get more information about fibroids?